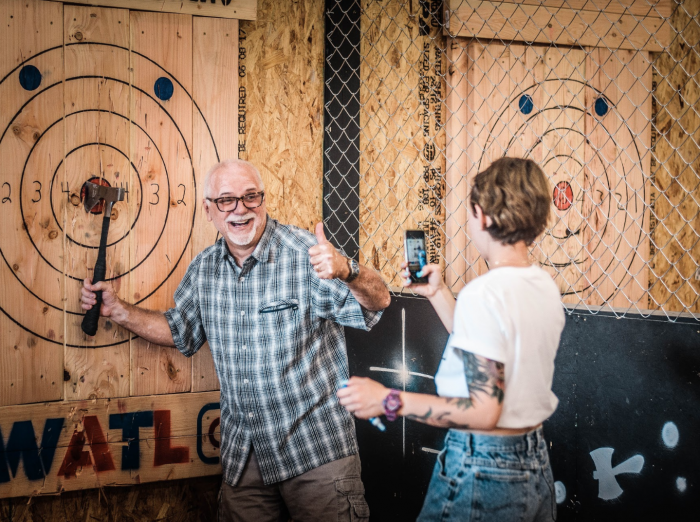 With the World Axe Throwing League Championship fast approaching, we were thrilled to hear that one of our league members, Tamara Soloman with Apt613 wanted to write a piece about Ottawa’s Bad Axe Throwing participation in this years WATL Championship! APt613 is an award winning blog dedicated to uncovering the best of Ottawa’s arts and culture. Tamara shares an inside look at what it’s like to be a member of the first ever World Axe Throwing League Championship. The World Axe Throwing league was founded by Bad Axe Throwing and has members all over the globe. 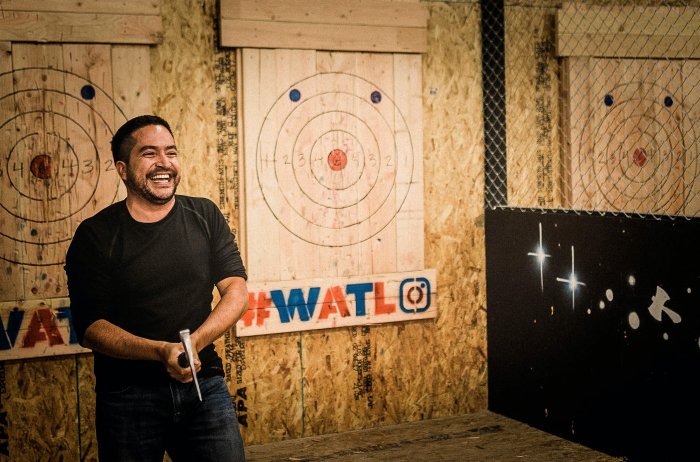 WATL provides standards and consistency from one urban axe throwing facility to another. This allows for a fair worldwide playing field. If you’re looking for a unique weekly activity with friendly people (or a great way to train for the zombie apocalypse), and the opportunity to win your way to prize money and worldwide badass status, then WATL is for you! Tamara noticed that the Ottawa location has recently gone under a facelift and updated the decor to include a number of WATL features such as; standardized WATL targets, new WATL apparel, and an empty wall of fame are ready for the upcoming first end-of-season showdown! 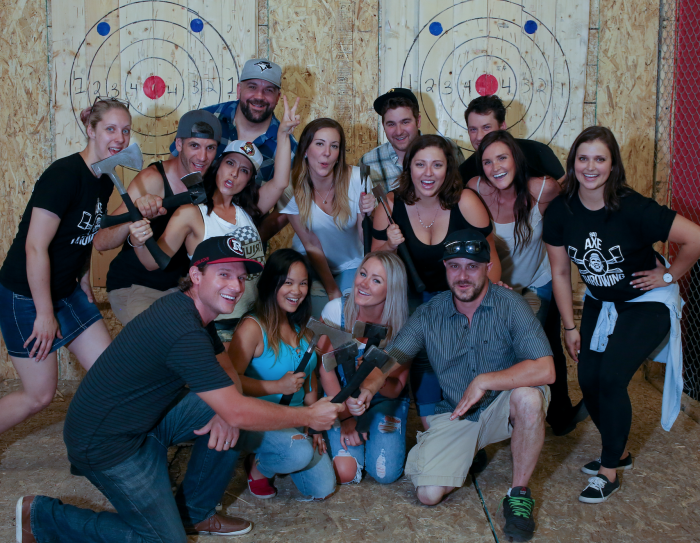 To date, each urban axe throwing facility has only participated in local tournaments. Although this year will be different! This year, the top 2 players from each location will be competing globally against other league players all over the world for the ultimate prize: $3500, a special trophy, and global status as a WATL champion. The World Axe Throwing League now has 33 member locations in 24 cities and 4 countries worldwide (Canada, Brazil, Ireland, and the US), and over 1000 league players are expected to be competing this year. Leagues typically run seasonally, 4 times a year, and included 8 weeks of consecutive throwing. League nights take place on a weeknight for about 2 hours each week. Scores for each throw are tallied and recorded. This will ensure that players are not being ranked based on who they go up against, rather, their skills at hitting the bullseye to get top scores. Players are also given automatic membership into the WATL upon registration, which comes with special perks, including some free drop-ins at any member location anywhere in the world. Some might think that you need to be a big burly, bearded lumberjack type of man to participate in an axe throwing league, but you’d be surprised to see who are the top scoring players! Tamara shares that there’s no specific type of person that are in the leagues. We’re hopeful Tamara makes it to the World Axe Throwing League Championship this season! If you’re looking to join a local axe throwing league, contact your local axe throwing facility nearest you!